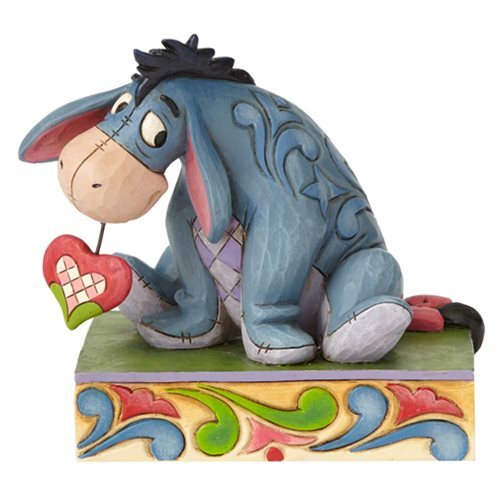 Even a somber Eeyore gets in the spirit of romance in this heartwarming personality pose design featuring the whimsical folk art style that is unmistakably Jim Shore. The Disney Traditions Winnie the Pooh Eeyore Personality Pose Heart on a String Statue is made of stone resin. Measures about 4-inches long x 3 1/2-inches tall x 2 1/2-inches wide Ages 13 and up.